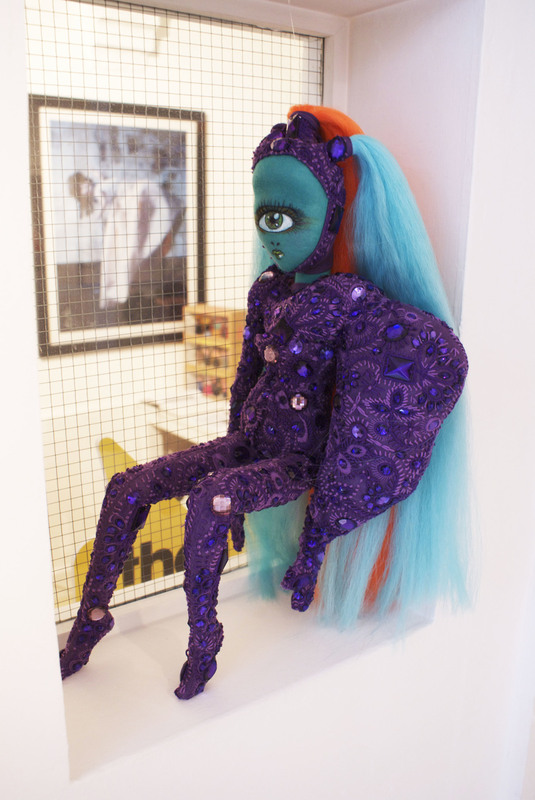 AY collaborated with Robert Tonner's newest venture in the adult collectible doll space in the creation of Kadira-- a 13" Ball jointed resin doll with 15 points of articulation. 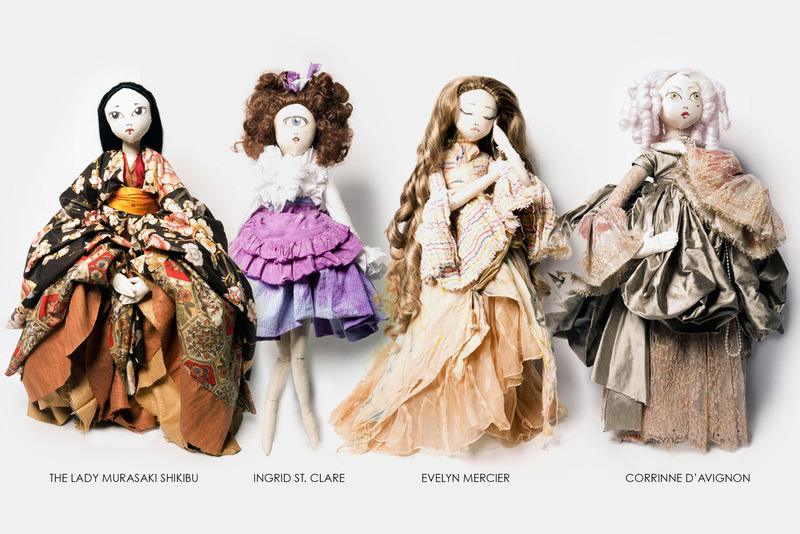 The first doll to be released is "Ophelia", the winner of an online contest where fans voted for their favorite gown in a gorgeous film from director André Armenante. Also, take a peek behind the curtain in another video with Andrew Yang as he shares some of the process behind Kadira. 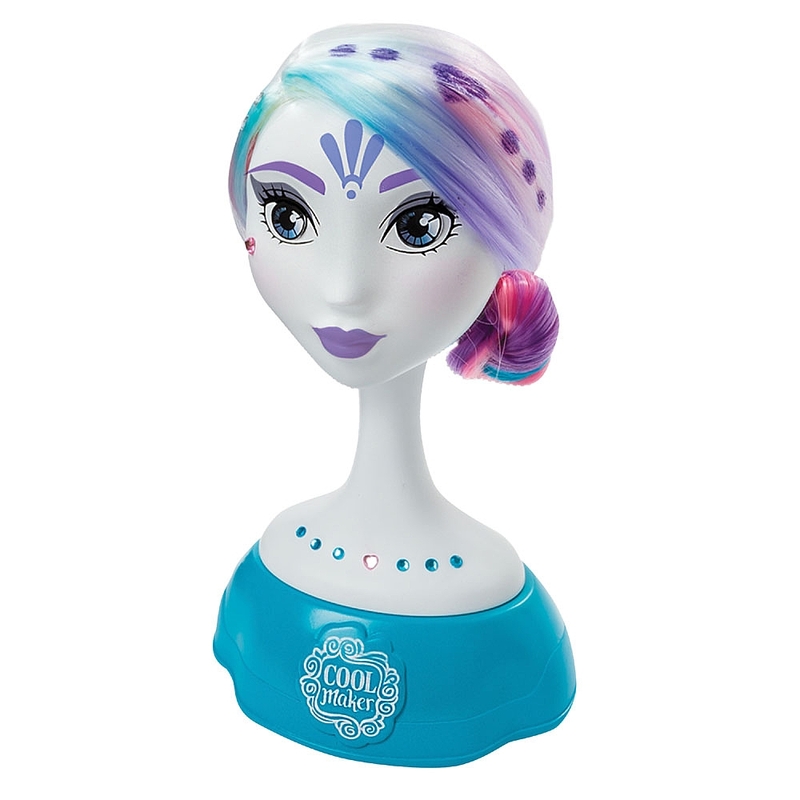 She is available exclusively through Phyn & Aero and select retailers. Kadira's auspicious debut from director André Armenante. Kadira showcases three looks, each voted on by the fans--- the winner gets made into production! Take a look at some fun prototypes and learn a little more about Andrew Yang, the designer behind Kadira! Directed by André Armenante. Still photo of AY by Maurice LaCroix. 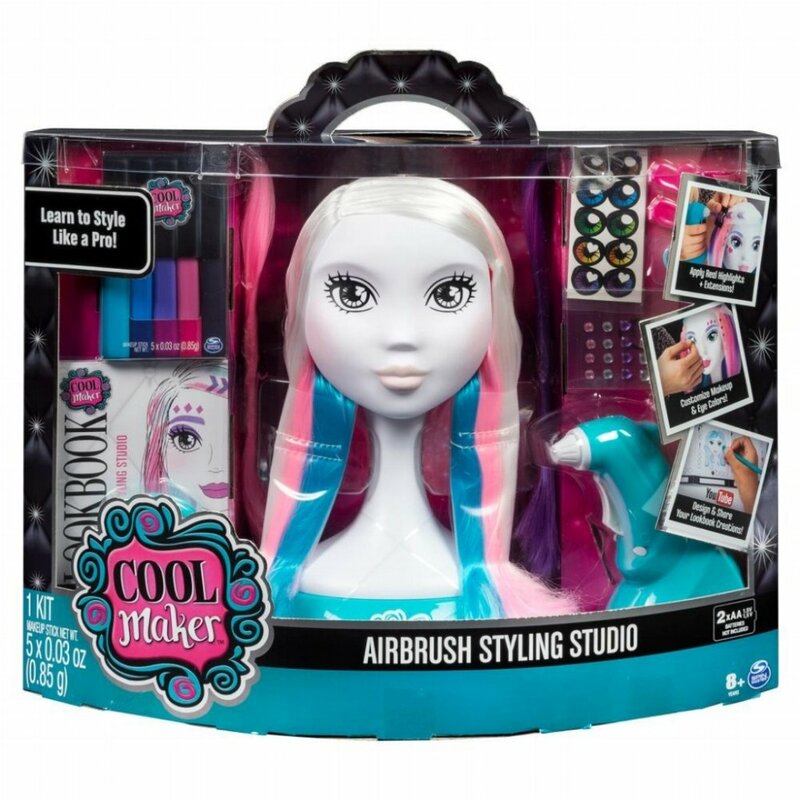 Combining our love and passion for hair and beauty play, we created the Cool Maker Airbrush Styling Studio as an avatar for personal expression through styling. 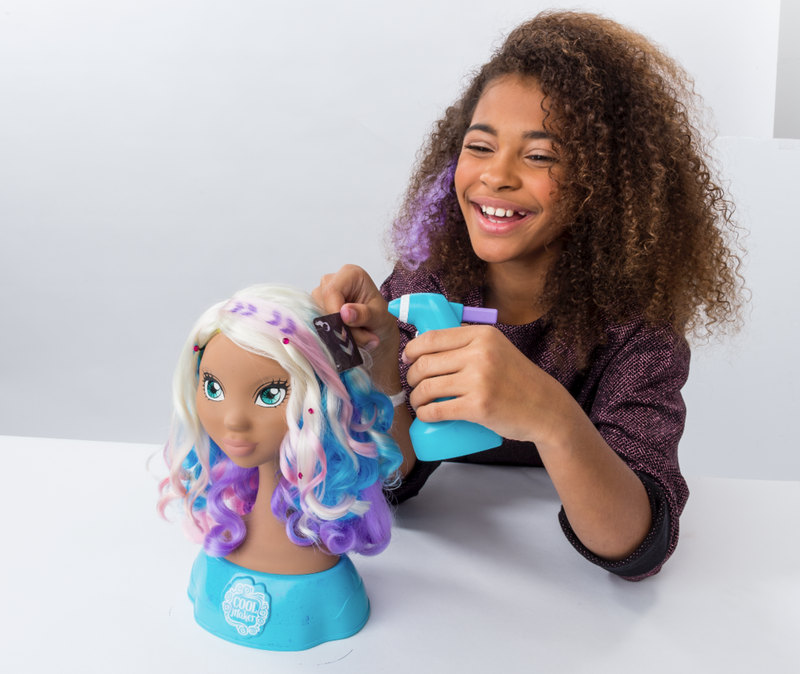 A loving entry into the craft and activity space, The Studio marks AY’s first mass market product with Spin Master toys available to purchase now through Target, Toys R Us, Amazon, and Walmart. 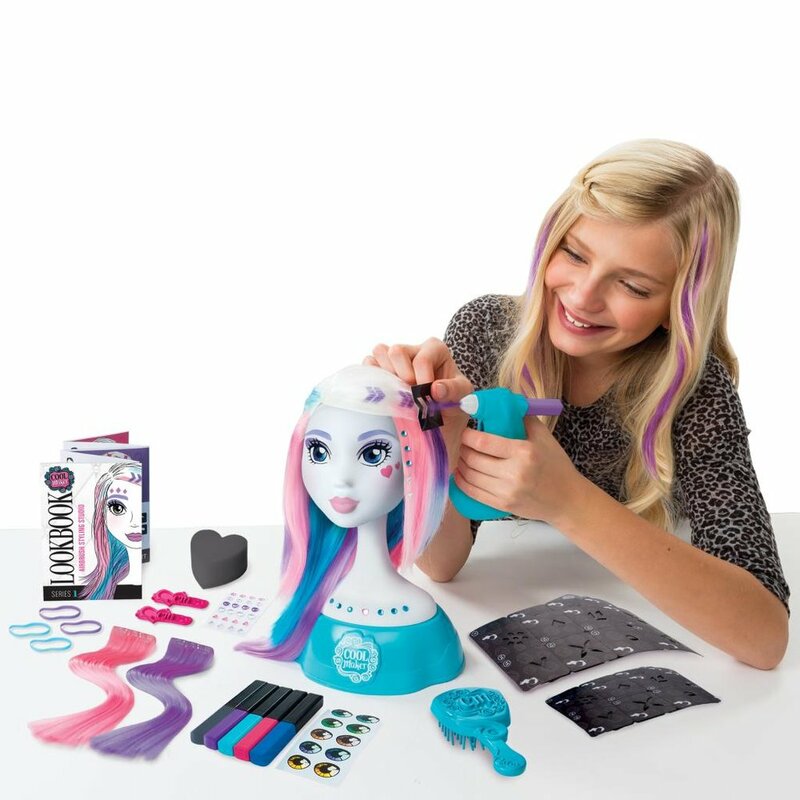 Customize and create endless looks with air brush, hair extensions, gems, makeup stencils and eye color stickers! 50+ pieces included to add your very own styling kit, including five colors of washable makeup sticks to create and customize your very own, AY designed model. 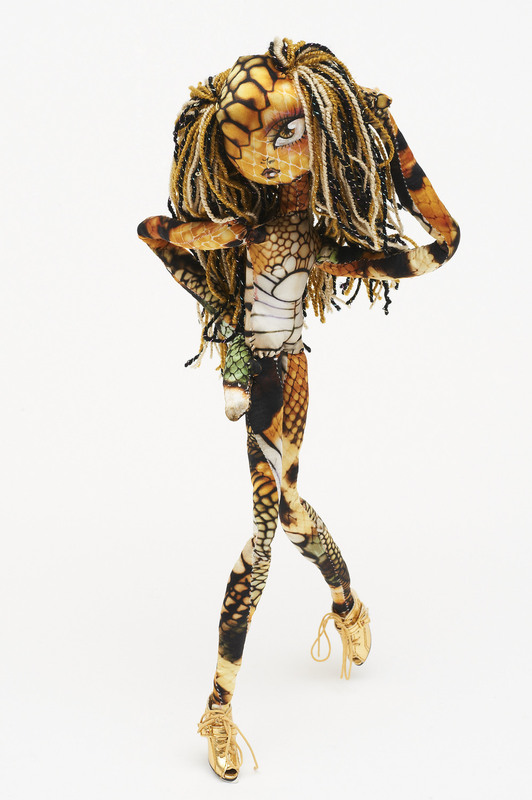 For Drag Con 2017, AY was commissioned to create 12 one of a kind looks on individually customized RuPaul Dolls. The iconic ensembles, makeup, and hairstyles were perfectly captured in a video directed by Andre Armenante and produced by AY Collective's Daniel Randell. 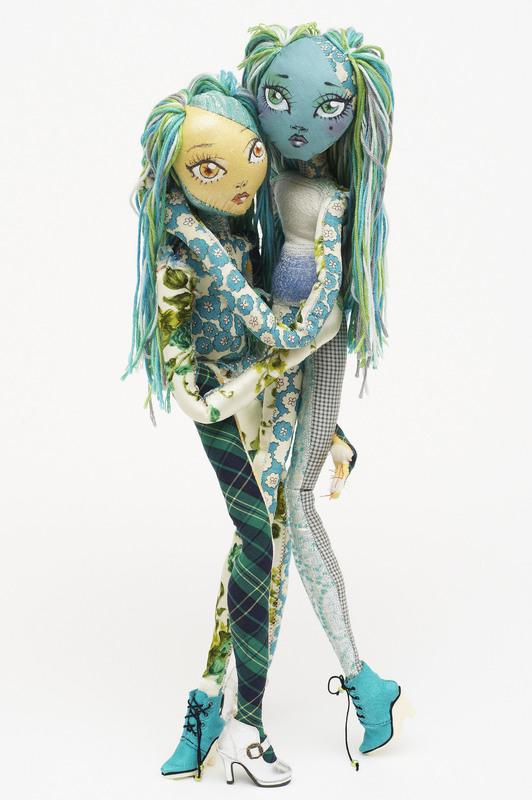 The Elements collaboration debuted for Holiday 2015 Season as a large scale installation featuring over 100 couture dolls, gift sets featuring 500 premium Elements character keychain dolls, and 2 styles of AY illustrated silk fashion scarves. 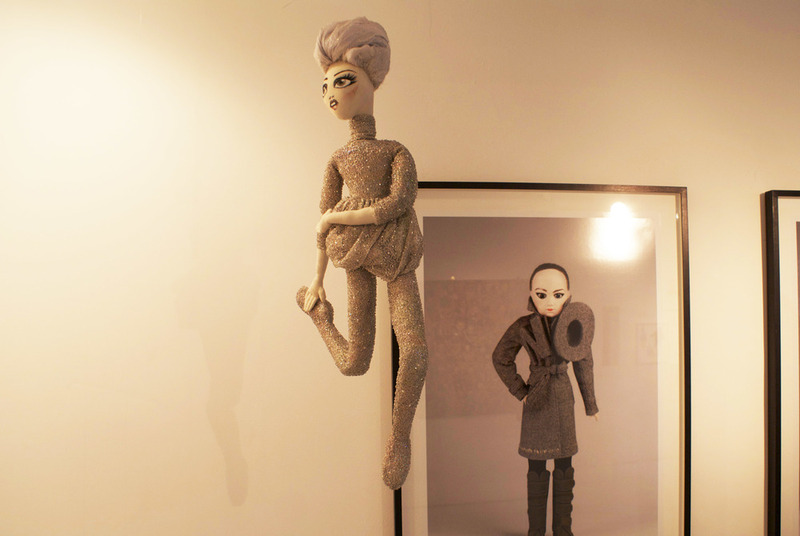 Built exclusively for Hong Kong's largest luxury retail space, ELEMENTS, "Love in Time" exhibition features automated versions of AY classic Kouklitas in 63 cm, 90cm, 110cm, and for the very first time, life sized dolls. 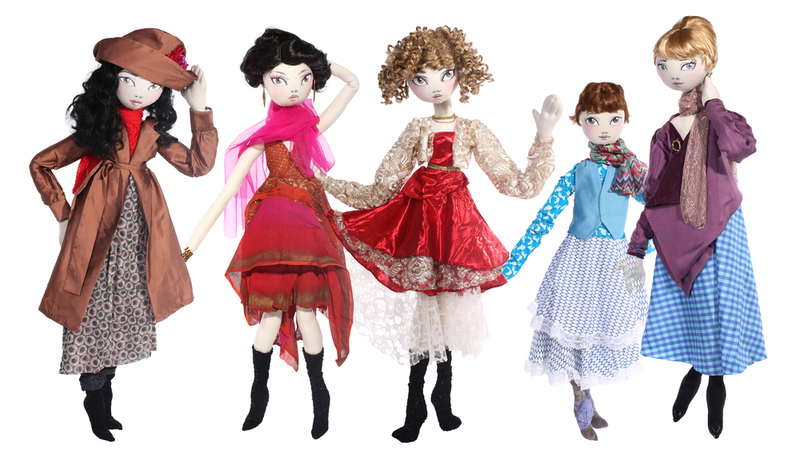 The Patchwork Girls are the newest collection of AY dolls. 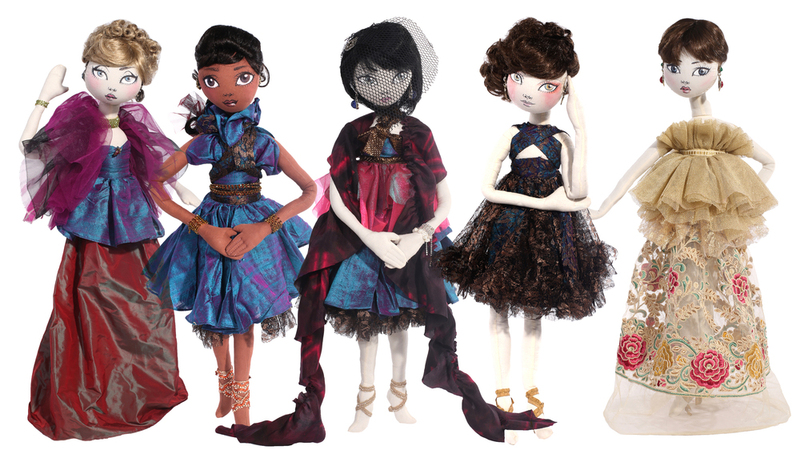 Inspired by the spirit of L. Frank Baum's The Patchwork Girl, they are created from an upcycled and eclectic mix of designer and heritage vintage fabrics. 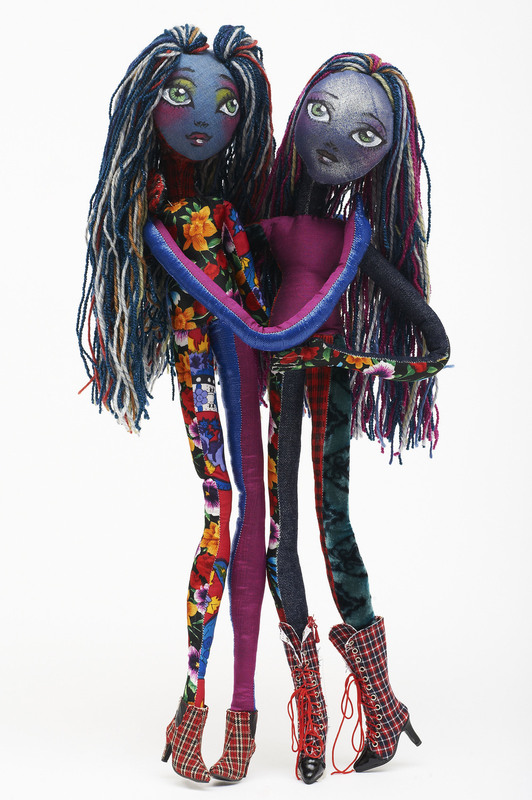 Standing between 14.5"- 17" and wired for articulation, these vibrantly colored effigies celebrate personal expression, empowerment, and beauty of many colors. Designed to pose, style and play, your way, they are available exclusively in the salesroom. 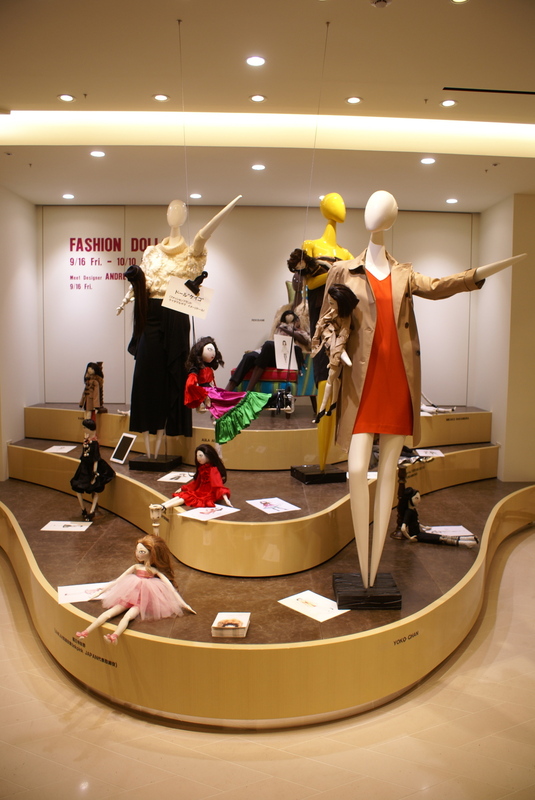 The HANKYU Collection, commissioned by Japan’s largest department store and shopping experience, features over a hundred fashion dolls from 2015 Spring/Summer international Ready-to- Wear. 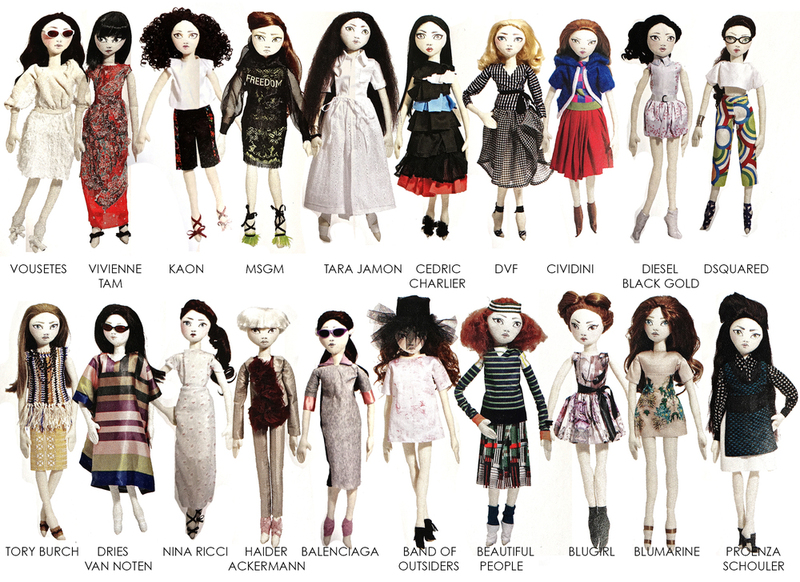 Each custom doll was created in collaboration with the myriad brand’s teams and designers. 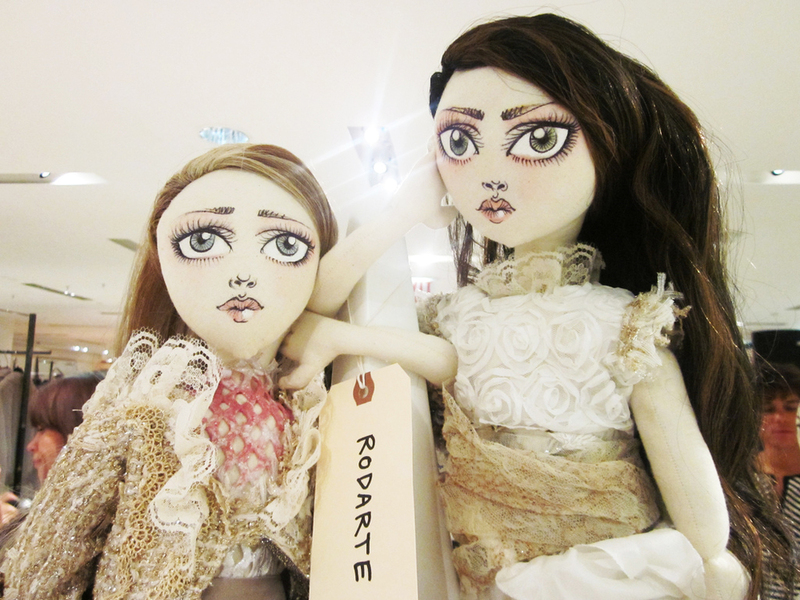 The Dolls were displayed in Hankyu Umeda’s 7 grand windows and throughout the Osaka store’s playful interior. Looks in this collection include: Balenciaga, Alexander McQueen, Tory Burch, Armani, Alexander Wang, Proenza Schouler and Stella McCartney, and many more. iD.ollogy is an entertainment and e-commerce collaboration with Philosophy founder Cristina Carlino and artist Andrew Yang. 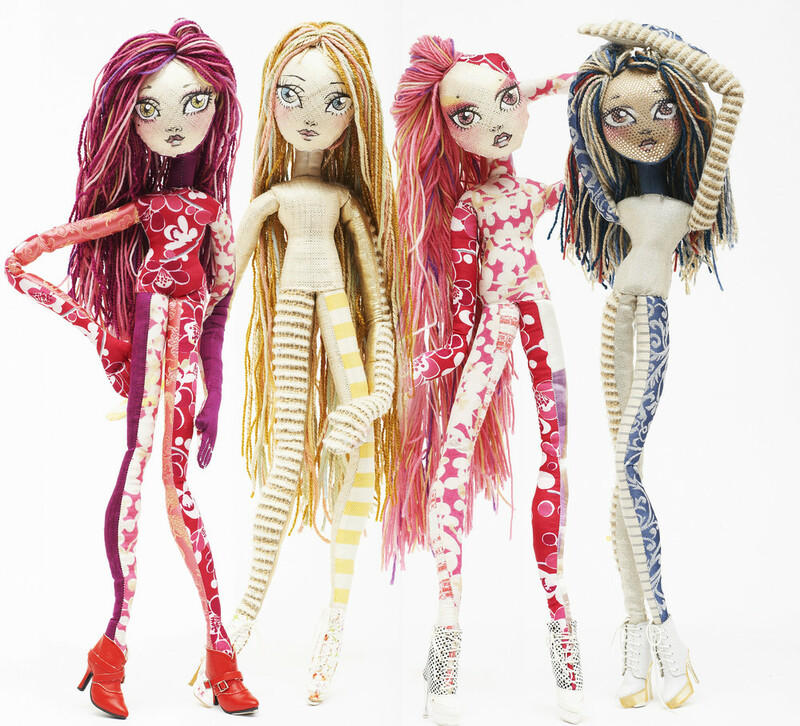 A series of lively character based dolls, in a world of coming-of-age discovery and mystery are brought to life through an original stop motion animated music video for the brand “Archetypes”. iD.ollogy is designed to help its audience and collectors learn more about themselves through the language of archetypes. The brand stars Izzy the Intellectual, JJ the Athlete, Fiona the Fashionista, and Rowdy the Rebel. 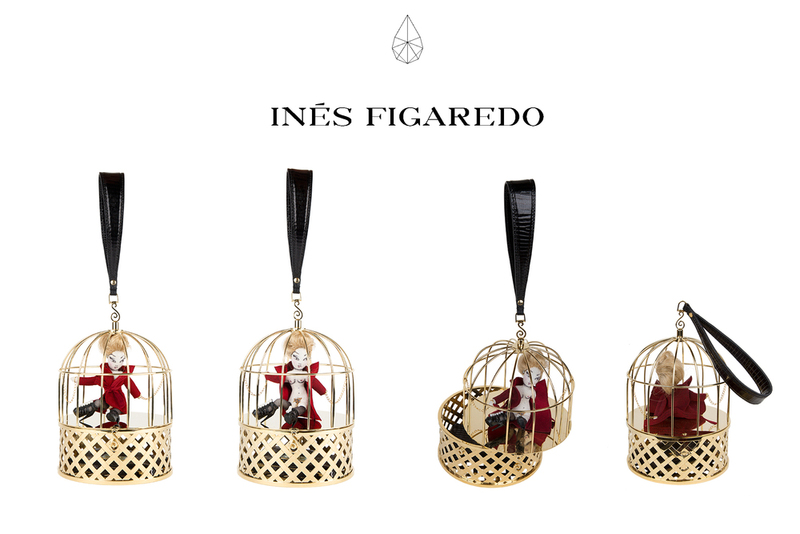 “The Cage Indiscreet” is a surrealist collaboration with handbag and jewelry designer Ines Figaredo. A 4-inch AY doll caged in 8 Karat gold plated brass ornamentation conceals a hand crafted iguana skin coin purse. Commission for SS 2015. 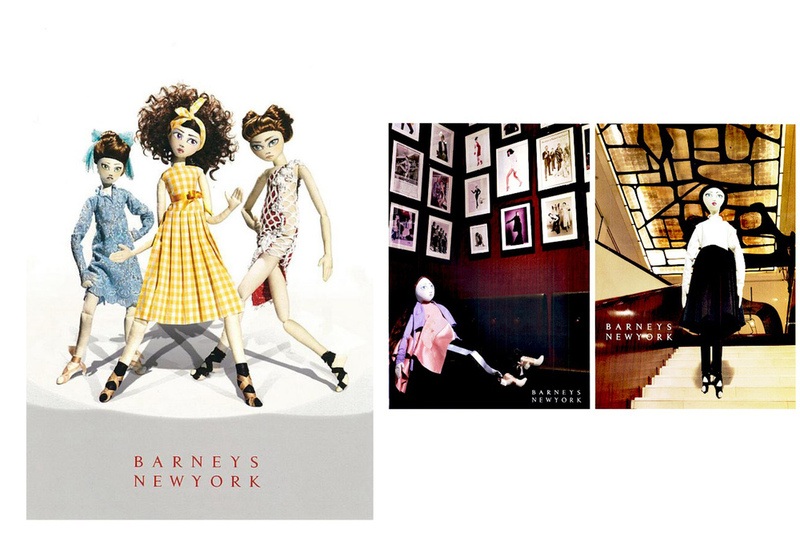 The Barney’s New York Collection featured a commission of over 100 dolls, campaign materials for their Madison Avenue flagship with distribution throughout America. 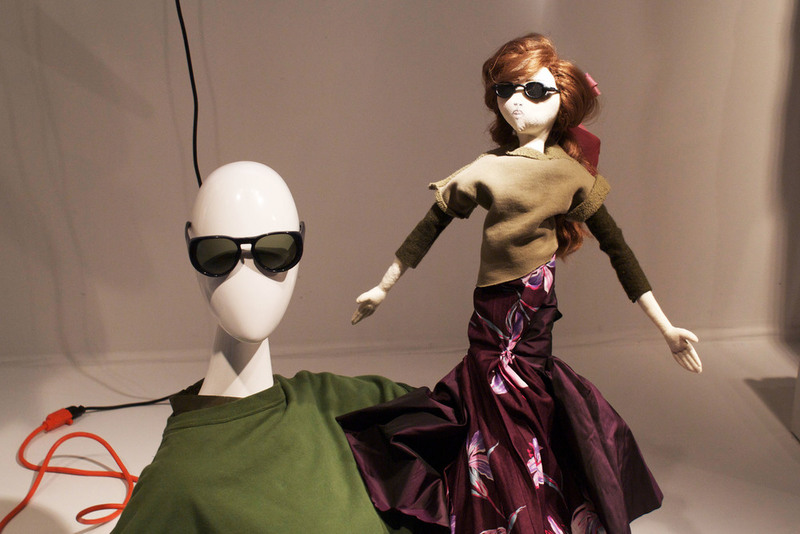 Some of the included are from, Maison Martin Margiela, Lanvin, Alaia, Balenciaga, Dries Van Noten, and Proenza Schouler . 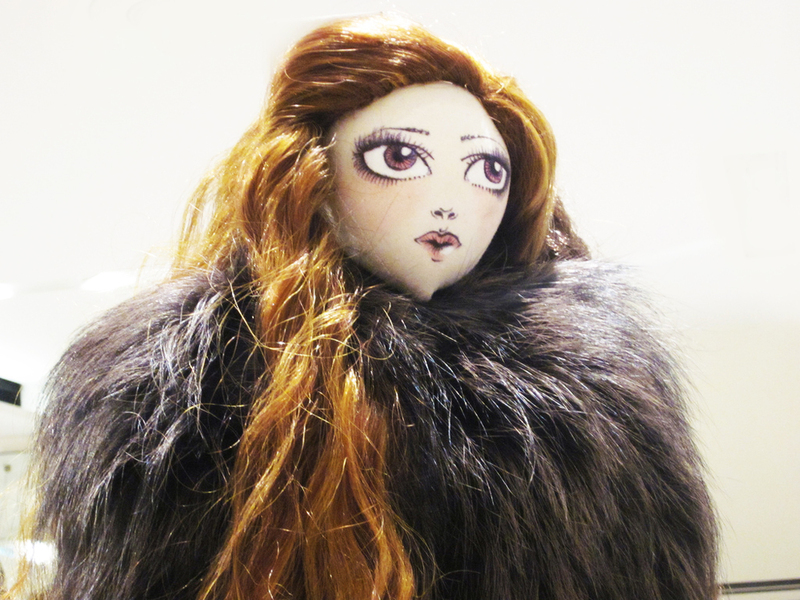 One of a kind portrait dolls of famed Vogue Creatives Anna Wintour and Grace Coddington, were prepared for a charity auction in support the New York AIDS Fund. Glowing press from this collection was featured in the New York Times, Vogue, Refinery 29, T Magazine and the Huffington Post. Beauty giant Lancome Collaborated with AY for their holiday 2013 campaign, “DOLLIDAYS”. 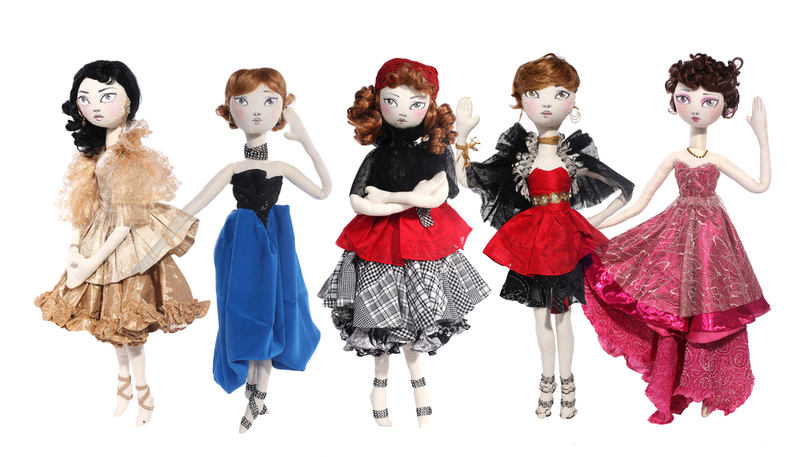 This commission featured a trio of covetable miniature dolls, campaign art, and full sized in store display dolls. Dubbed the Lancome Art Trio – three color styles “Porcelain Doll”, “Golden Doll” and “Star Doll” – feature fine sequined jackets tying in the colors of Lancome's seasonal makeup collection. 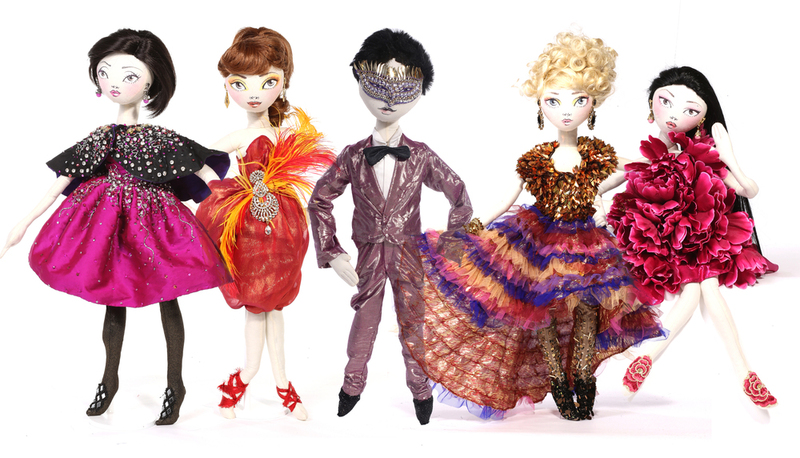 Each of the 30,000 produced key-chain style dolls came packaged with a matching makeup palette and Lancome’s signature rose motif box. 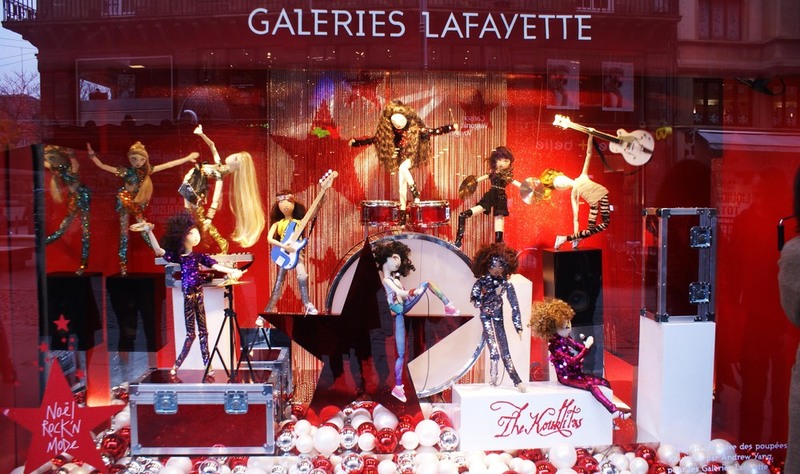 In Christmas of 2012 Andrew Yang was invited to Paris as the first American artist to build the holiday window campaign of the famed windows of Galeries Lafayette Paris on the Boulevard Haussmann. 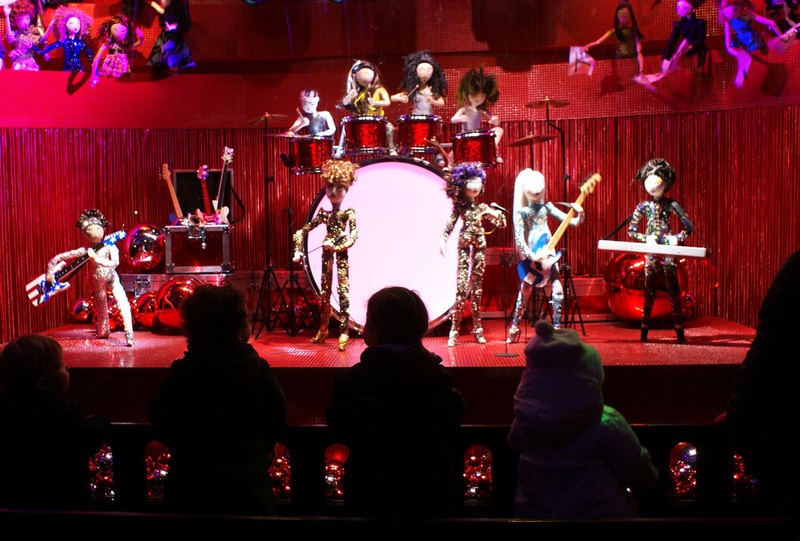 He was commissioned to create 350 unique dolls and special edition mannequins in a full-scale display for the heritage Parisian shopping experience. 110 original characters designed for the main windows in the theme of ‘Rock N’ Noel’, a Rock and Roll festival starring the K-Stars, a five girl rock group that has taken over the music charts. Window montages included riding tour buses, getting their hair and makeup done, editorial fashion shoots, and of course, rocking out in concert, in style. 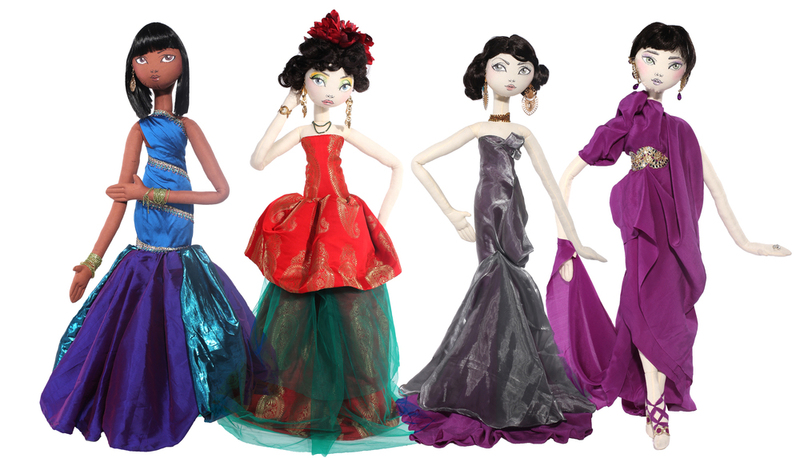 An additional 50 dolls for display in their Casablanca and Strasbourg stores were created, as well as 110 commercial dolls hand crafted for retail on the store shelves during their holiday season. Partnering with Chinese fashion brand MO & CO de Paris, AY was commissioned to participate in their LOVE ART Charity Program. AY designed keychains, t-shirts, and accessories for the brand that were sold in MO&Co. stores throughout Asia. All of the proceeds went toward the building and construction of two computer labs, an art classroom, and a library for two schools in rural China. “IN WOLVES CLOTHING” is a limited 6 doll collection created for award winning London based Fashion Film collective, SHOW STUDIO. “In Wolves” featured designs inspired by iconic Alexander McQueen runway looks, pop culture spectacles, and extraterrestrial inspired, gilded and hand embroidered original AY creations. 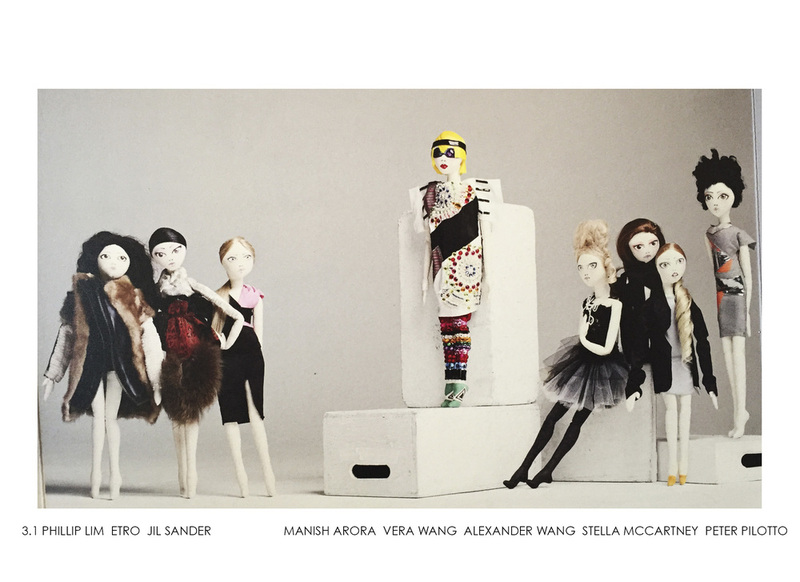 Andrew Yang also collaborated with SWOON NYC's Ramon Goni in the creation of a cinematic exploration of dolls and masculinity in the fashion film, Swoon Ephemere. 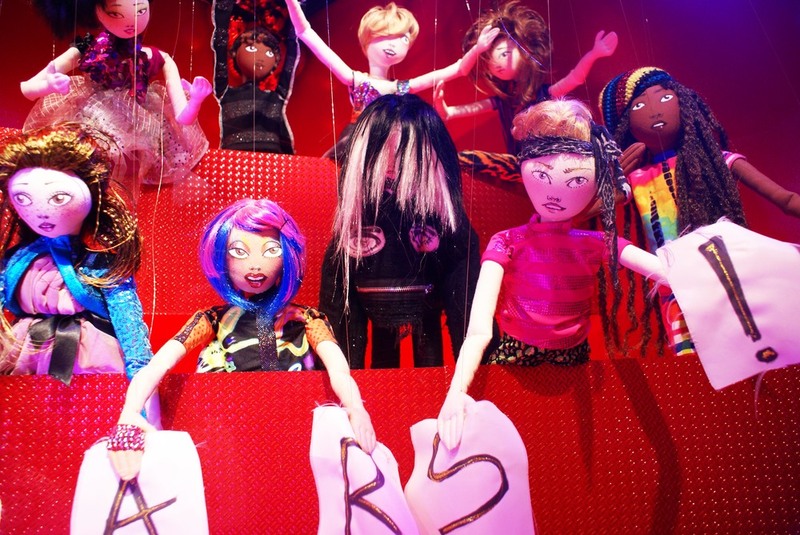 Following the success of the Barney’s New York collection, AY was exclusively commissioned to create a 20 doll collection for an installation and campaign for the opening of Barney’s New York Fukuoka flagship store. 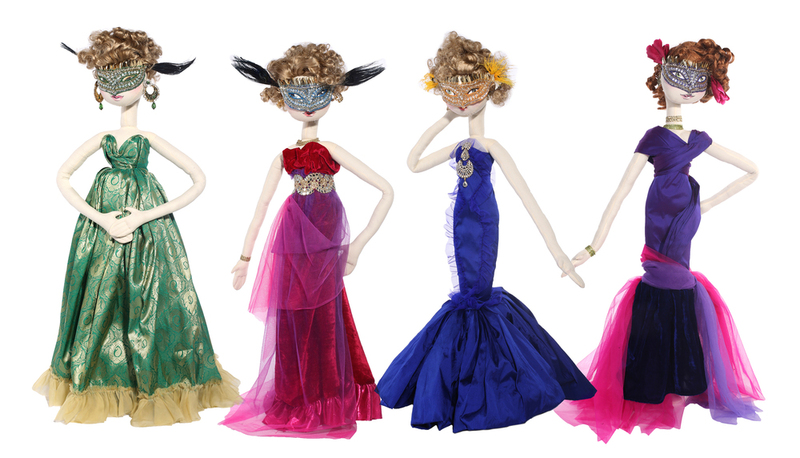 The dolls were paired for display with their matching looks available for purchase as well a debut program for Andrew Yang Bridal Customs offered exclusively through Barney’s Japan. AY continued to work with Barneys New York Japan for several campaigns, in store events, and several windows for their Shinjuku location. 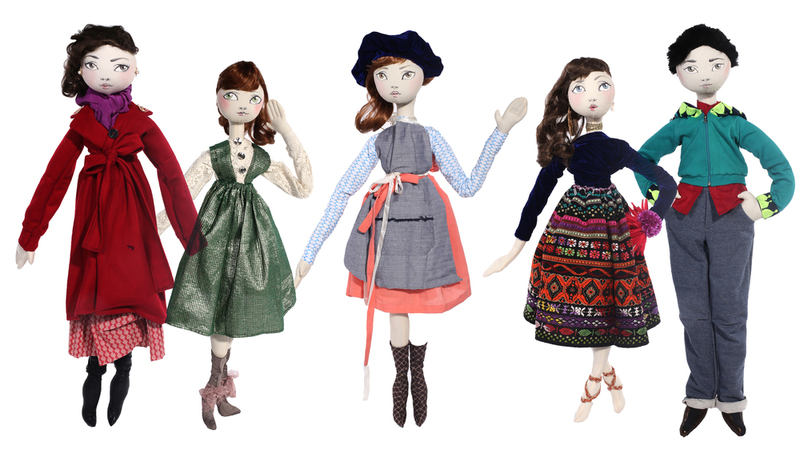 Comissioned for Hong Kong boutique retailer, JOYCE, over sixty dolls and an accompanying book launch centered around them, were created for stores in Shanghai and Hong Kong . This campaign was in part of JOYCE's 40th anniversary. 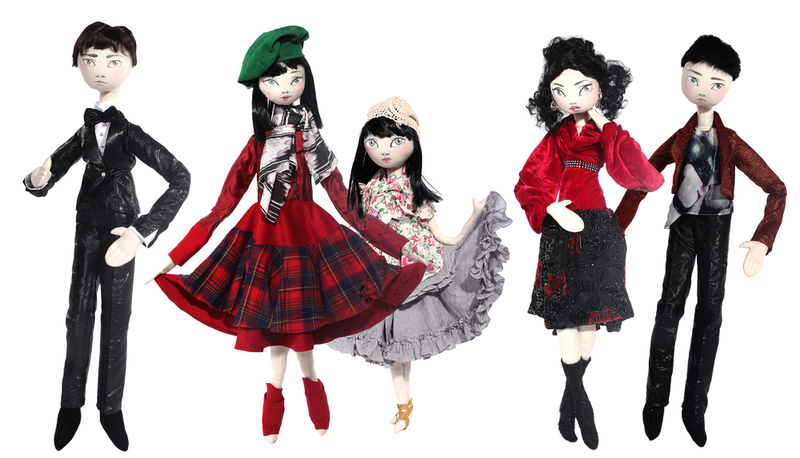 The Kouklitas were initially developed in 2008 as a line of one of a kind handmade character based dolls-- made in the form of a fabric fashion doll. 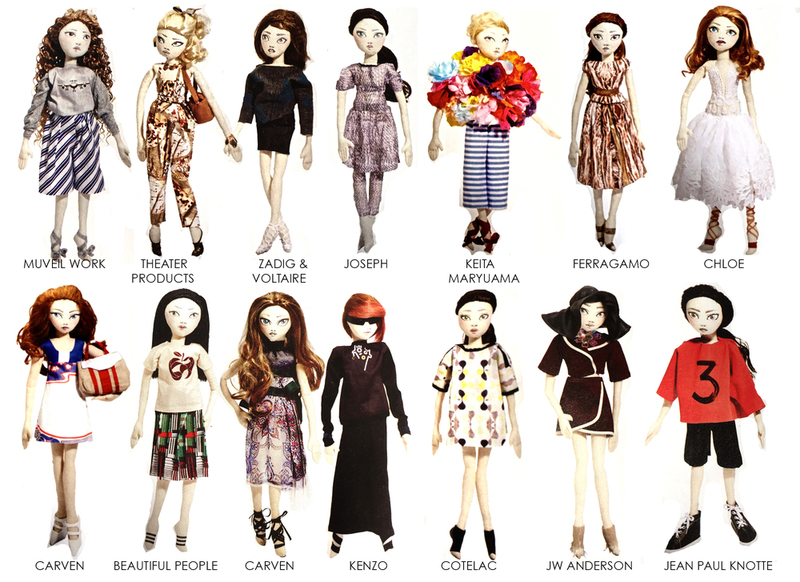 Shortly after the first collection was released, AY was contacted by stylist James Worthington Demolet to collaborate on a shoot of the dolls dressed in high fashion runway looks-- which led to the many collaborations to come.